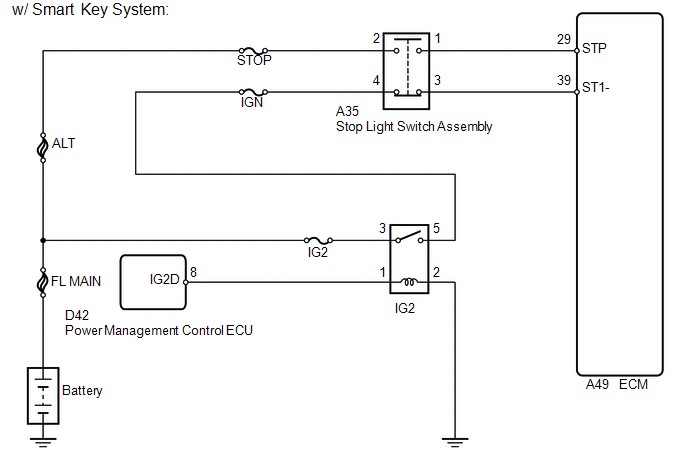 The stop light switch is a duplex system that transmits 2 signals: STP and ST1-. These 2 signals are used by the ECM to monitor whether or not the brake system is working properly. If signals which indicate the brake pedal is being depressed and released are detected simultaneously, the ECM interprets this as a malfunction in the stop light switch and stores the DTC. The normal signal conditions are as shown in the table below. [ON] denotes battery potential (+B). 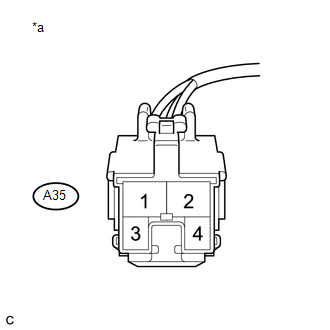 On the Techstream, both the Data List items Stop Light Switch and ST1 are ON when the brake pedal is depressed because the ST1 indication characteristic is opposite to the Stop Light Switch indication. (a) The ignition switch is ON. (b) The STP signal is OFF when the ST1- signal is OFF. 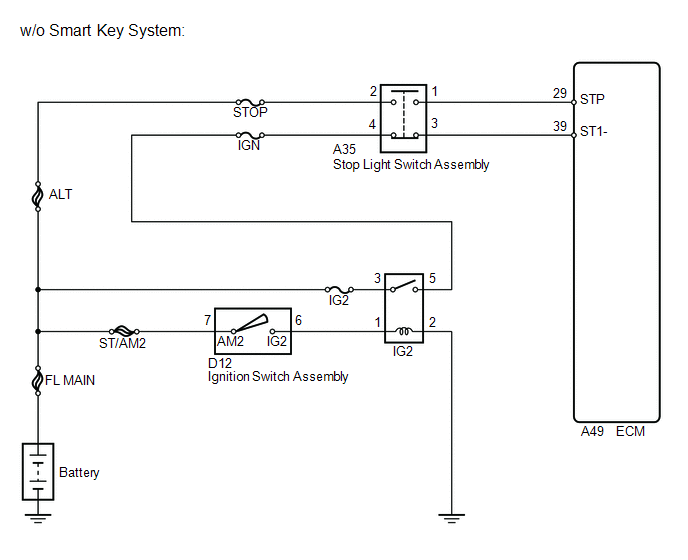 Stop light switch conditions can be checked using the Techstream. Enter the following menus: Powertrain / Engine / Data List / Stop Light Switch and ST1. Check the Data List indication when the brake pedal is depressed and released.